The most significant difference between a traditional school and a PLC school is how it responds when students don۪t learn. Dr. Buffum advocates for a tiered system of intervention, which provides both the supplemental and intensive support every school needs for a successful RTI program. Learn how to create a highly effective intervention program and gain practical, proven intervention ideas that are timely, targeted, and systematic. 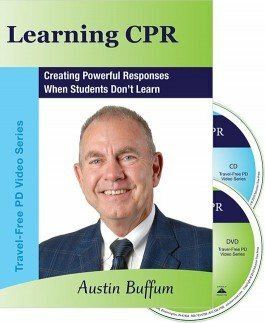 This package includes a DVD with the presenters session, a CD with the presenters slide presentation, an excerpt from the book Pyramid Response to Intervention, and more.